In the past, I’ve been privileged to be the celebrity chef on different cruise lines. When Seabourn invited me to cruise with them as Guest Celebrity Chef to Venice and the Adriatic Sea, I was delighted. Seabourn is owned by Carnival, the largest cruise line company in the world, yet is able to keep its own identity and market. It is a small ship, a “luxury yacht,” with a maximum of 200 guests. This results is better service and finer food. My culinary event included a cooking demonstration with degustation, wine and cheese tasting and, most important, a 4-course dinner for 180 guests. I decided to build the plates around local products and traditional recipes of the region (Venetian but also Mediterranean, Greek, Croatian and others), but served in a modern way. Guests had the opportunity to taste eggplant, fish and lamb, prepared 3 different ways for each plate. 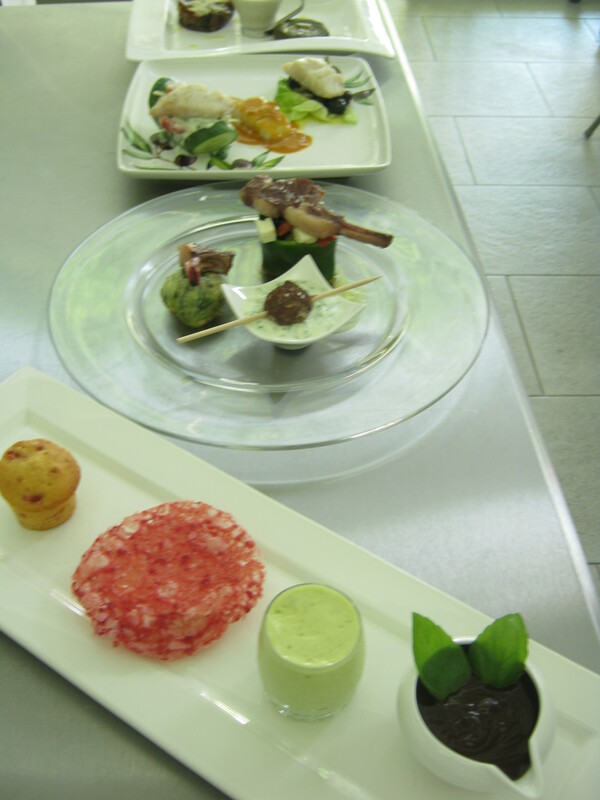 “So sweet vegetables” were for dessert, with avocado ice cream, tomato muffin and beetroot sweet biscuit. Public relations our part of the game for a guest chef–making sure each passenger will keep wonderful memories of Seabourn, forever. 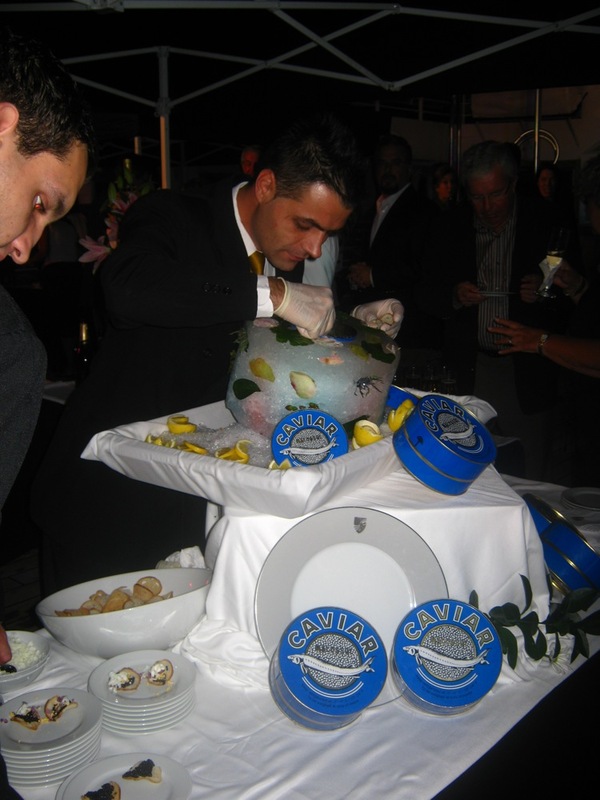 On the last day of the cruise, $25,000 of caviar was served on deck to all guests, courtesy of Seabourn’s Executive Chef. This was a wonderful experience and I thoroughly enjoyed socializing with the passengers. Having taught at two of the most highly respected culinary academies in the world, and continuing to consult to the industry, I find it wonderful to see so many cruise lines offering celebrity chef experiences. It pleases me that people are learning that cooking can be fresh, nourishing, beautiful and fun! Hervé Laurent has taught the Art Of Modern French Cooking in many renowned cooking schools throughout the world. 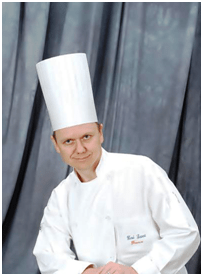 After serving as French Master Chef and instructor at Le Cordon Bleu in London, Hervé joined The School of Culinary Arts—Paul Bocuse’s Institute, in Lyon, France. Hervé has many cookbooks to his credit, won prestigious awards, appeared worldwide on television, been a celebrity chef on luxury cruise lines, and opened the School of Culinary Arts, C. A. in 2004, www.SCARTS.com.sv. SCARTS now belongs to the World Association for Hospitality and Tourism Education and Training,www.amforht.com. He is happy to have SCARTS in the same association Le Cordon Bleu and Paul Bocuse Institute.